Strategic development plans for 5-7 years, associated with the implementation of investment projects in the medium term, demanded a radical expansion of Ecobaltic. New territories are equipped with engineering infrastructure. This, in November 2018, the industrial park launched a new power line for future residential projects. 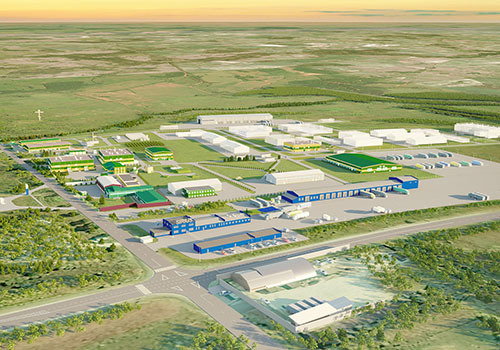 Modernization of the energy supply system of the Ecobaltic business park continues. In addition, they are approaching the completion of work to increase the capacity of water supply and sanitation. In total, 3.5 billion RUB of new investment will be invested in the development of the industrial park. Today, at the territory of the Ecobaltic business park, a shop of ointments and a shop for the synthesis of pharmaceutical substances with the possibility of contract manufacturing are being built. Preparations have begun for the construction of workshops for the production of pharmaceutical dispensers and the production of clean packaging. Development plans involve the creation of a separate certified laboratory for R & D purposes, a separate GDP warehouse with a total area of 15,000 square meters, for the implementation of other projects.